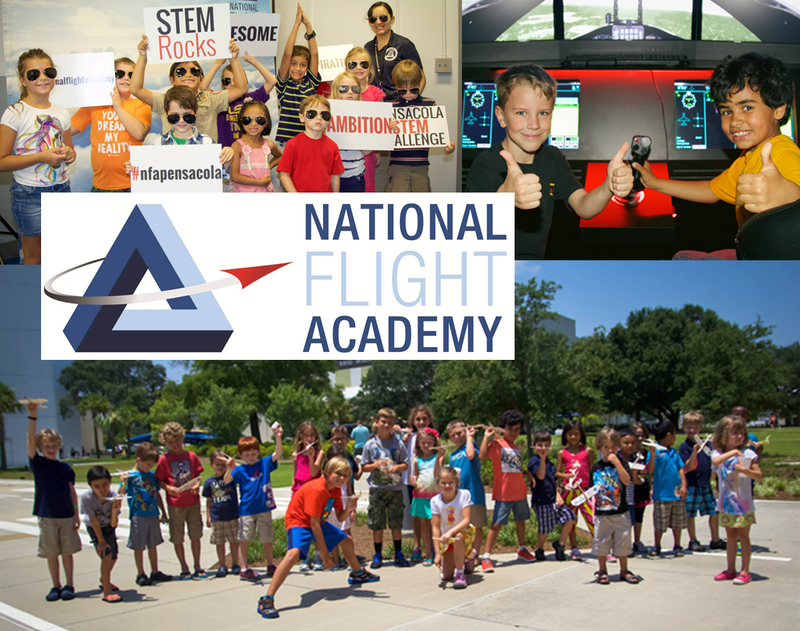 May 18, 2016 –Pensacola, Fl—Thanks to a generous donation, the National Flight Academy’s May and June STEM Saturdays programs — an introductory science, technology, engineering and mathematics (STEM) program designed for children in kindergarten through 6th grade — will be sponsored. STEM Saturday programs cost between $40-$50, including labor and product costs. Thanks to the generous Gulf Power donation, the National Flight Academy is able to run the May and June program at just $15 per child. “As supporters of quality education programming in the Greater Pensacola area, Gulf Power is proud to support the National Flight Academy’s STEM Saturday program,” said Verdell Hawkins, Gulf Power Community Relations Manager. “This program exposes area youth to exciting and innovative concepts in science and technology that will ideally ignite individual creativity and a passion for STEM related education/professions and promote lifelong success,” he added. The STEM Saturday program allows students to explore the principles of flight and aerodynamics through flying the T-6 Texan II in state-of-the-art simulators as well as constructing and testing paper airplanes and other STEM related themes. This opportunity provides hands-on experience with a focused curriculum that engages local students in STEM education tenets. “STEM Saturdays ignite the passion for STEM in young children through a fun, affordable program,” said Malerie Shelton with the National Flight Academy. Like the NFA’s other programs, STEM Saturdays are designed to address the serious concerns of declining science, technology, engineering and mathematics skills in our country. The Academy’s mission is to inspire students to pursue STEM academic and professional paths. Through the STEM Saturday program, the National Flight Academy appeals to younger elementary-aged children. May’s STEM Saturday topic is “Sonar and Echolocation” and takes place on May 21. June’s STEM Saturday topic is “Jets in Flight” and takes place on June 18. Visit the website to register as space is limited for each session. Registration is $15 per child and lunch is provided. STEM Saturdays are from 9 a.m. – 1 p.m. and are open to children in Kindergarten-6th grade.